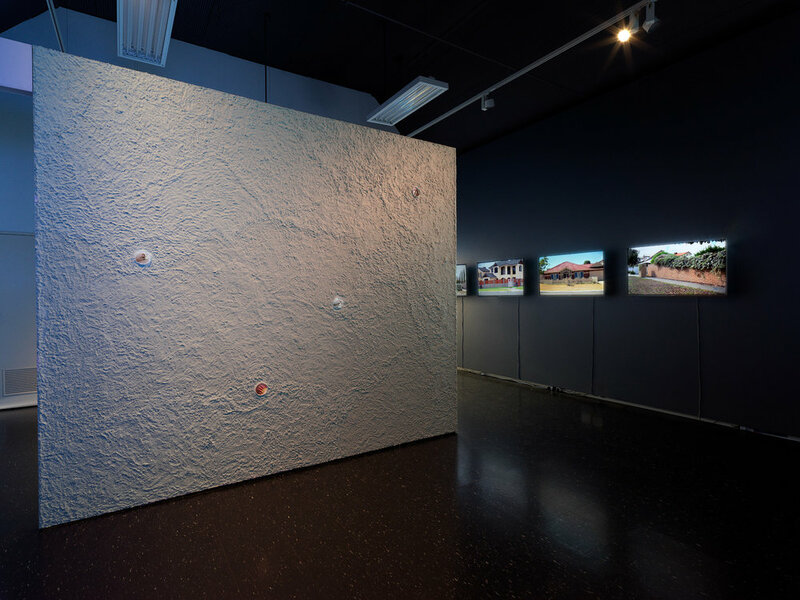 Installation view: TRACK featuring Jenna Pippett (left) and Jacobus Capone (right), Adelaide Central Gallery, 2017, curated by Sasha Grbich and Andrew Purvis. Photo by Grant Hancock. 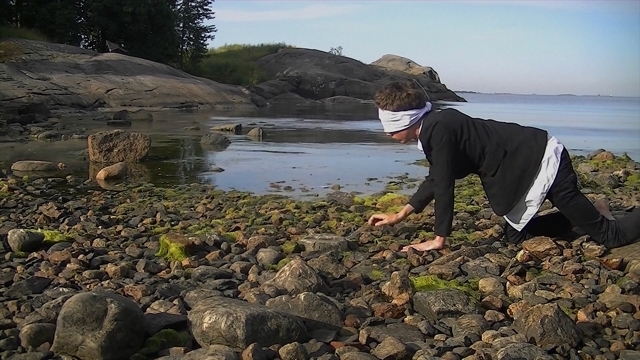 Jacobus Capone, Saudade, 2011, 13-hour durational performance (video still). GM: I am also led to consider Small Measures as a rationale for learning an empathetic political practice. The people singing in Grbich's work are engaging with reserved land under threat of development. We are familiar with violent power and assertion of control over place though here, there is a suggestion of a more empathetic relationship to place as a potential method of coexisting. I think this too has correlation with both Unknowing and Saudade where the artists utilise touch and personal affective engagements with their bodies and environments. Our first encounter of Small Measures is through hearing voices devoid of context. Quiet songs of resistance–a very different strategy to direct demands of typical protests. I feel empathetic toward this sound, even before understanding the context. It is through Grbich’s un-intention to engage with the political in a direct way, that I find openness to engage in a multitude of strategies to understand. 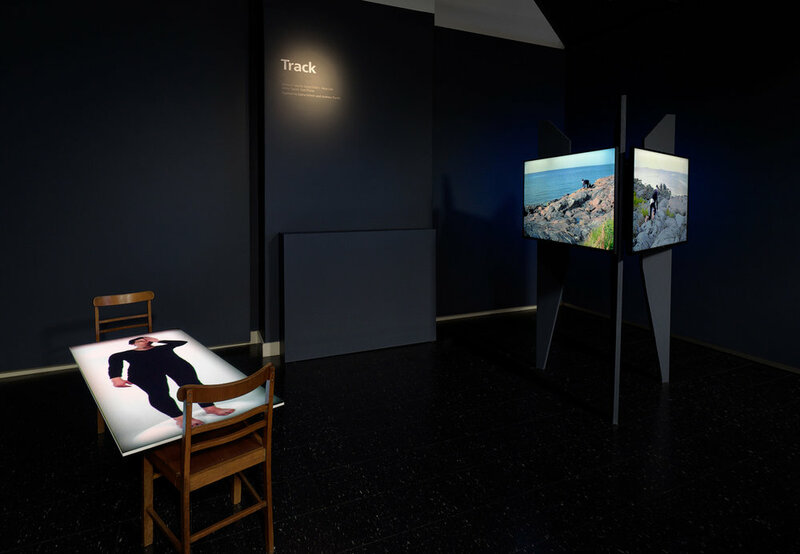 Installation view: TRACK featuring Kate Power (left) and Tanya Lee (right), Adelaide Central Gallery, 2017, curated by Sasha Grbich and Andrew Purvis. Photography by Grant Hancock. Bernadette Klavins and Grace Marlow are emerging visual artists in Adelaide, South Australia.